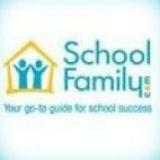 In this space, SchoolFamily.com brings you the expertise, opinions, and thoughts from a variety of guest bloggers. Please feel free to comment on each of their blog posts. If you have someone you'd like to see featured in this space, please email editor@schoolfamily.com. Winter gives us a choice: We can hunker down and ride it out, or we can embrace it! Our friends at Hyland’s understand the importance of keeping kids active and eating well so they stay healthy. And we wanted to share our healthy hacks—simple and easy ideas to keep kids healthy all winter long. 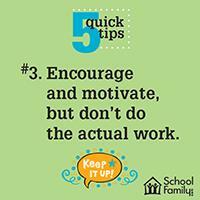 Here are a few extra tips from our SchoolFamily moms! In today’s world, kids are using electronic devices before they are reading and writing—which is both exciting and frightening for parents and communities. It seems that with every year that passes, kids are receiving their first cell phone, tablet, or other electronic device at younger and younger ages. As this trend continues, it’s more important than ever to teach kids to use these devices responsibly and become good digital citizens. As well, as these devices leave home and go with kids to classrooms and play dates, it becomes essential that communities work together to teach and promote proper use, respect, and responsibility online. But what exactly is digital citizenship? It is “the norms of appropriate, responsible behavior with regard to technology use.” Digital citizenship involves not only using technology and devices appropriately, but also being responsible with all that comes with them, from social media access to Internet searches. Helping kids be good digital citizens is no small task; that is why entire communities—parents, teachers, coaches, and other community members—must work together to model and encourage it. From a child in kindergarten getting online for the first time, to a senior in high school getting online for the zillionth time, we all have a role in beginning and continuing conversations about what it means to be good digital citizens. Parents and guardians: In most cases, this is the group that introduces kids to technology for the first time. Families make different choices about when and what their kids can access at young ages, but they should do so with eyes wide open. Parents should use the devices and apps that their kids use, share stories and advice with other parents, and, most important, talk to their kids about what it means to use the Internet safely, responsibly, and wisely. They should have this first discussion when their kids are at a young age and keep the communication going. Schools: As technology’s role in schools and classrooms continues to increase, so does the importance of teaching digital citizenship. If schools require students to use Internet-connected devices and online services for schoolwork and in collaborative ways, they should also provide guidance on appropriate use, both when the kids are in school and elsewhere (home, library, a friend’s house). Ideally, these messages are reinforced by the same messages kids are receiving from their parents. Law and government officials: Access to the Internet and technology isn’t a right, but a privilege. For this reason, it is important that both law and government officials come together to not only create but enforce policies related to digital citizenship. Additionally, these policies should be promoted and discussed with members of the community so that everyone can learn to practice good digital citizenship. Every group in a community plays a role teaching or role-modeling digital citizenship, whether by deliberate action or simply by the way we set examples. By working together, we can ensure the messages of what it means to be great at being online will be reinforced, wherever kids are, so that when they are out on their own, they can make great decisions that will help them thrive both on and offline. Getting kids ready to start school may have been simple in the past, but not today. Ads scream “Order this…buy that…and your child will be safer, smarter, happier!” And young people, like retailers, play all too well on our hopes and fears as parents and caregivers. An essential tool for your child’s back-to-school toolkit, however, is one that money can’t buy, and one only caring adults can provide: emotional awareness. The things our children have—backpacks, lunchboxes, sneakers—and the things they know—which bus to take, the new teacher’s name, where to wait for dad to pick them up—all these are easier to track than what our children feel. Yet feelings may be the most important part of their experience, both in school and out. handle challenging situations constructively and ethically. positive social interactions and social behavior by 10 percent. emotional distress by 10 percent. If you are a parent group leader, ask the principal—perhaps at your first one-on-one meeting—what the school doing in the area of social-emotional learning. Don’t stop, even if the answer you get is that the school is taking care of it. Parents as well as teachers need support in this area as much as (and sometimes more than) students. Parenting education is something schools can and should make a normal part of the menu of parent activities, right along with math night and the annual playground carnival. It is essential, too, to practice your own emotional awareness. Empathy, like a muscle, may lose strength if it isn’t used. 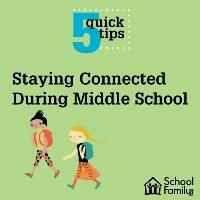 If the back-to-school craziness starts getting to you, give yourself a little time out. Ask for help. Remember to breathe. 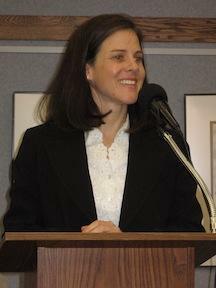 Eve Sullivan is the founder of Parents Forum in Cambridge, Mass. The Collaborative for Academic, Social, and Emotional Learning (CASEL) is another great resource for information on SEL, as is The Parent Toolkit, with a social and emotional development section launching in October. Are you a parent who can think of something your child’s school could use? Could you describe it in 50 to 200 words? 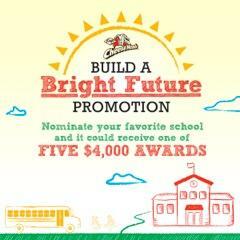 Then you have a chance to win $4,000 for your school in the Frigo® Cheese Heads® Build a Bright Future Promotion. The promotion entry period runs now through Sept. 30, 2014. Five schools will be awarded a $4,000 prize to be used toward the purchase of an enhancement for the school. Parents, teachers, and adults over 21 years old can nominate a school with a short essay of between 50 and 200 words that creatively describes something that would benefit students. The trick is to nominate a school with an idea that is interesting and also feasible with the $4,000 prize. The nomination period ends Sept. 30. Judges will select 10 entries as finalists. The public will have an opportunity to vote on the finalists on Frigo Cheese Heads’ Facebook from Oct. 13 through Oct. 31. Winners will be announced in mid-November. In addition to five schools winning $4,000, an additional five schools will win $1,000 prizes. So put on those thinking caps and get creative! Tell your friends and other parents about this promotion because the more nominations a school receives, the better a chance it has at winning. You could turn an idea into a reality for your child’s school! 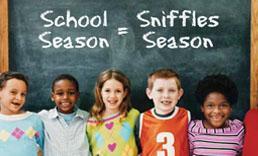 When kids go back to school, it often isn’t long before the first sniffles and colds arrive. Parents can’t stop their kids from getting sick, but there’s plenty they can do to help them stay healthy, and if they do catch a cold, to ease the symptoms as much as possible. One company that understands this well is one of our sponsors, Hyland’s Inc., which has been making cold remedies for more than 100 years. Just one example: Hyland’s 4 Kids Cold ’n Cough is made with natural active ingredients that ease common cold symptoms, including sneezing, coughing, and sore throat. It’s an option for parents looking for a safe and effective product with no stimulants, sugar, dyes, or artificial flavors. Stress basic hygiene rules to your children so they can avoid the common cold or passing it along. Simple steps like not sharing utensils or drinks will go a long way. Remind kids of the importance of hand-washing. Often, they are just too busy to remember. We have printables and mini-posters that you can download to help remind your kids of the importance of this task. If you aren’t sure whether your child should stay home, check this article that provides general guidelines for a sick day. If your child has minor cold symptoms without a fever, then chances are he’s good to go. October is National Medicine Abuse Month, a good reminder for parents to consider the possibility that their teens might experiment with over-the-counter medicines. 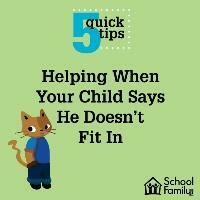 It’s also worth having a discussion with your child, even if you are certain he is not at risk. These days, one out of three teenagers knows someone who has abused over-the-counter medicines to get high. So it is important to talk, if for no other reason than to help your child understand why other kids are taking these risks. Teens often try to get high with over-the-counter medicines like cough syrup and pills because they are cheap and easily available, and kids believe it is less risky to use them than illegal drugs. Some cough medicines include dextromethorphan (DXM), the ingredient that helps to suppress a cough, and, when taken in large quantities, it can cause a “high’’ feeling. But it is important for parents to let kids know that some cough medicines, while safe when used properly, can lead to serious side effects when large amounts are ingested. 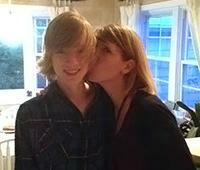 The key to helping a teen is having a conversation about medicine abuse that is based on the facts. The Stop Medicine Abuse website has good information to share with kids about the possible side effects, which can include rapid heart beat, double or blurred vision, and nausea and vomiting. The website also has useful information for parents, including a list of possible warning signs that your child may be experimenting with these medicines. The warning signs include an usual medicinal smell coming from your child’s room, missing cough medicine bottles, and changes in behavior or mood in your child. The good news is in getting the facts from websites such as StopMedicineAbuse.org; parents can get the conversation underway with their kids. Chances are your child will stay out of school because of illness at some point during this school year. Often parents aren’t sure when to make that call. Many of us have been there: Is my daughter sick or does she just want to stay home with the new puppy? Is my son really sick or does he just not want to participate in the spelling bee? As the makers of Triaminic® point out, when in doubt, seek medical advice from your child’s doctor. But a good general rule to follow is this: If your child is too uncomfortable to participate in all of the school day activities, then it’s best to keep him home. It is a good idea to have a sick day plan in place in case your child does need to stay home. You may need to have backup help, such as a neighbor, who can pick up your other children from school. Another good step is to work out a plan with your employer that may allow you to work at home or adjust your hours so you can be with your sick child. Sometimes distraction is the best medicine! When your kids are feeling under the weather, keep them busy with these fun coloring worksheets! Once they’re back in action, keep your kids on a well-balanced diet with these healthy recipes. And to find out more about cold and flu symptoms in your area, check the Triaminic Flu Tracker. * Disclaimer: Triaminic products are not intended to treat all the symptoms listed above. Please read all product labeling for directions and warnings before use. This information is not a substitute for medical advice from your doctor. If your child has any of the symptoms above, call your pediatrician immediately. Parents should also be aware of sick day guidelines specific to their child's school. In general, a child should stay home if he/she is too uncomfortable to participate in all activities and stay in the classroom. When kids go back to school, it often isn’t long before the first sniffles and colds arrive. Parents can’t stop their kids from getting sick, but there’s plenty they can do to help them stay healthy, and, if they do catch a cold, ease the symptoms as much as possible. One company that understands this well is one of our sponsors, Hyland’s Inc., which has been making cold remedies for more than 100 years. Just one example: Hyland’s 4 Kids Cold ‘n Cough is made with natural ingredients that ease sneezing, coughing and sore throats. It’s an option for parents looking for a safe and effective product with no stimulants, sugar, dyes, or artificial flavors. Remind kids of the importance of hand washing. Often, they are just too busy to remember. We have many printables and mini-posters that you can download to help remind your kids of the importance of this task. If you aren’t sure if your child should stay home, check this article that provides general guidelines for a sick day. If your child has minor cold symptoms without a fever, chances are, he’s good to go. We all know how hectic school mornings can be. With rushing to get dressed, packing up homework and special projects, making lunches, and getting everyone out the door, we can run out of time to serve a nutritious breakfast. Who hasn’t tossed their child a quick breakfast treat just to stay on schedule? So, here’s a great tip: Add a breakfast plan to your calendar each week. Think of a selection of nutritious breakfast options and pick them up during your regular grocery run. Bake or cook some options on a Sunday afternoon or evening and freeze them for the week ahead. Then, add a five-day breakfast menu on the calendar. Now, instead of stressing in the middle of morning mayhem about what to serve, you can just glance at your calendar and you’ll be ready to go! This is important not just for organizational purposes but also because we all know how essential a wholesome breakfast is for our kids. Monday: Cereal. Look for cereals with fiber and whole grains. The fiber and whole grains help kids feel full and focused when they get to school. One example of a whole-grain cereal that’s high in fiber is Kellogg’s® Frosted Mini-Wheats®..
Tuesday: Fruits. Chop or slice your child’s favorite fruits ahead of time and store in the refrigerator. Serve up with toast or yogurt on the side. Need ideas for fresh-fruit breakfasts? Pinterest is a wonderful source. Just search on “fresh fruit’’ and you will have more ideas that you can use. Wednesday: Homemade granola bars or muffins. There are many online resources that provide nutritious versions of traditional breakfast fare. For example, you can make a batch of granola bars with oatmeal and fruit on a Sunday night. Then, freeze or refrigerate them, and serve them during the week. For other make-ahead options, check our Power Breakfasts section on the School Family Recipe Share. Also, there are many make-ahead breakfast choices using Kellogg’s® Frosted Mini-Wheats®, like this recipe for banana muffins with strawberries or this blueberry bars recipe. Thursday: Eggs. Make egg sandwiches on whole-wheat bread or mini quiches and freeze or refrigerate. Thaw the night before and serve. This Pinterest board has many fun make-ahead egg dishes. Friday: Kid’s choice. Take your child grocery shopping and help them select a healthy breakfast item. This will help them feel part of the process and they’ll be more likely to eat what they’ve picked out. *Kelloggs’s disclaimer: USDA recommends consuming a minimum of 48g of whole grains a day. Kellogg’s® Frosted Mini-Wheats® cereals contain at least 42g whole grains per serving.